This is every snow mobilers dream get away. 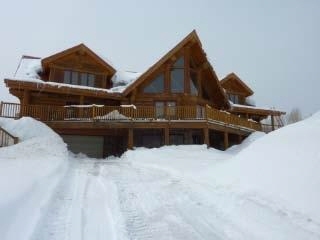 Located at 9,000 ft above sea level it is directly across the street from 70 miles of groomed snow mobile trails. Between this property and the Airport are 3 major ski resorts, Deer Valley, the Canyons and Park City. Park City is the home of the Sundance Film Festival, 2 weeks a year all of the movie stars with featured films that up coming year. It is the most exclusive winter retreat in the entire U.S. Breath taking Mountain Views, Miles of Snow mobile trails, the only way to spend your winters in America. Additional Features and Amenities It comes with 10 snow mobiles all 2007 and newer, a ping pong table, pool table, air hockey table, foose ball table, arcade dart board, pin ball machines, arcade games, a 4 wheeler.